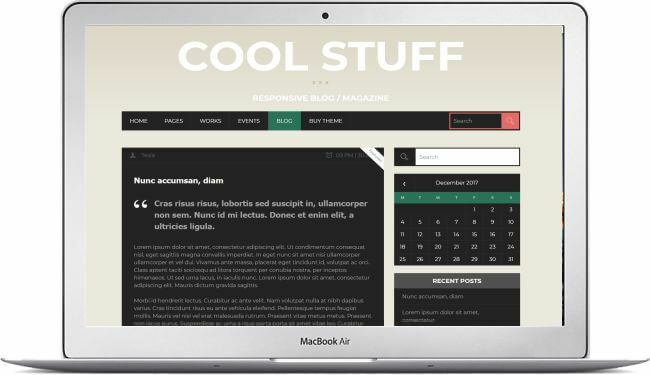 WordPress Theme with Event Page "Cool Stuff" - Download here! 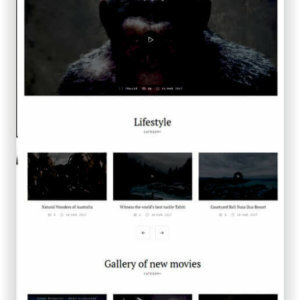 Cool Stuff is a really unique theme. 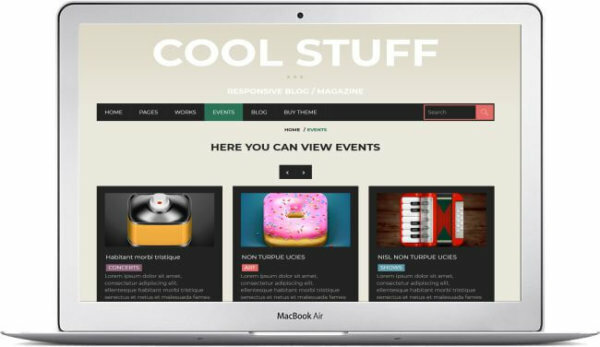 Compared to other themes, Cool stuff has a cool timeline and a dedicated events page. The dedicated events page is especially useful for magazines, blogs or websites who plan to run an event. 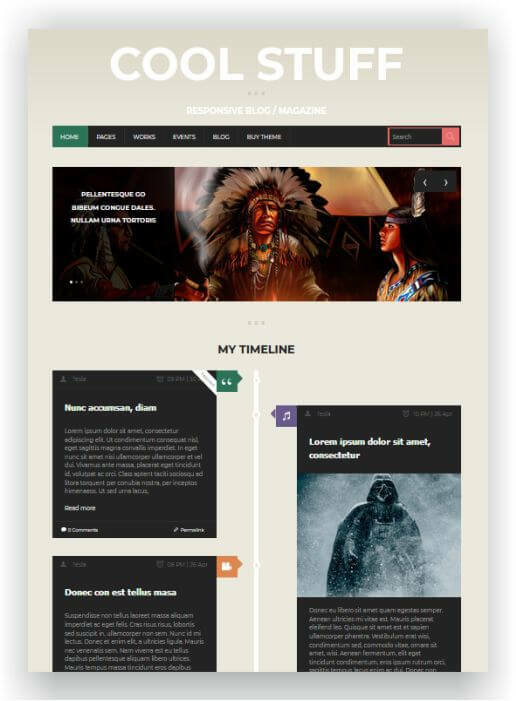 The timeline is also another interesting element of this theme, as it allows to display your posts and articles in a really interactive way, allowing your viewers to better understand your content/message. 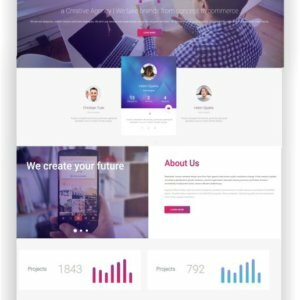 Filterable Portfolio – the template includes a filterable and animated portfolio, to showcase your latest works in a stylish manner. You can choose from 2 different visual representations: grid and list view. Built-in Shortcodes – we’ve created a rich set of shortcodes to facilitate the process of creating new components (no web development skills required). 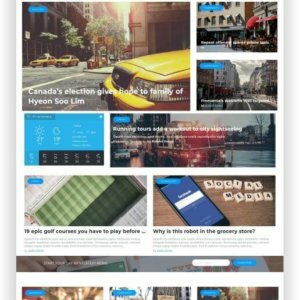 You can use shotcodes to create sliders, buttons, pricing tables, tabs and more. Social Media Sharing – the most popular social sharing services integrated: Facebook, Twitter, Google+, Pinterest and more. Additionally, social sharing is supported on photo preview. Contact Form With Advanced Validation – a useful feature that allows users to send their messages without incomplete data. This makes the contact form a prompt and useful channel for feedback. 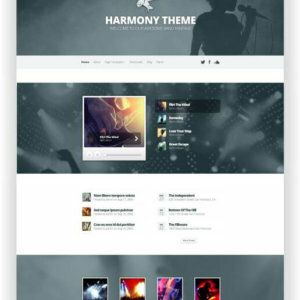 Custom Posts – dedicated area in your WordPress admin where you can easily add new predefined elements (Portfolio, Services, Events, Members). 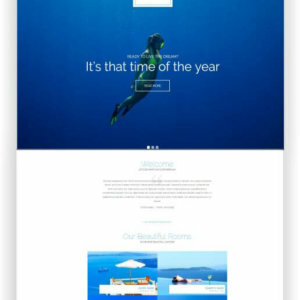 All posts are customizable and are tailored to the design of the layout. Post Format Support – you can post different type of content using predefined post formats. 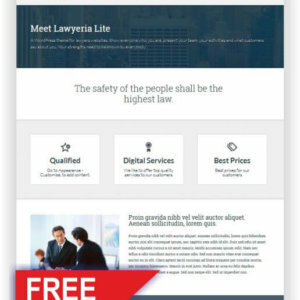 This template supports Standard, Quote, Gallery, Video, Audio and Image post formats. See here the Live Demo!